This article highlights every detail of the kayak, and it shows all the advantages and disadvantages to making your buy an easy task. For the better use and maintenance, the product guide and other tips to maintain hygiene are also explained. In the end, the article says that this product is an excellent product to enjoy kayaking with friends and family. 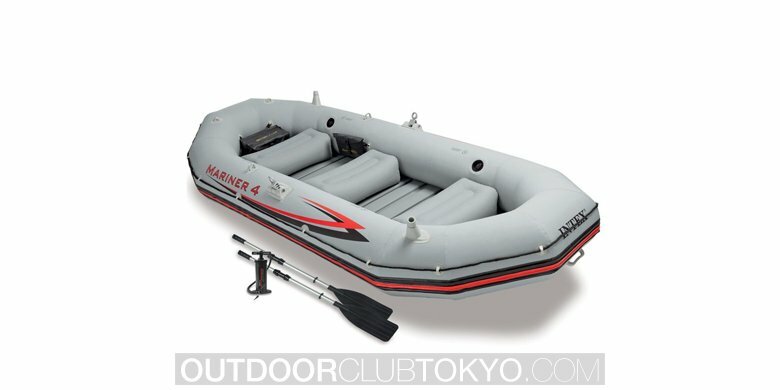 This is a two-person inflatable boat set called the Intex Challenger 2, 2-Person Inflatable Boat Set. It’s relatively small and can contain a maximum of two people without the fear of turning over. The boat comes in a blue-yellow color variation and a set of French Oars that are yellow-black. 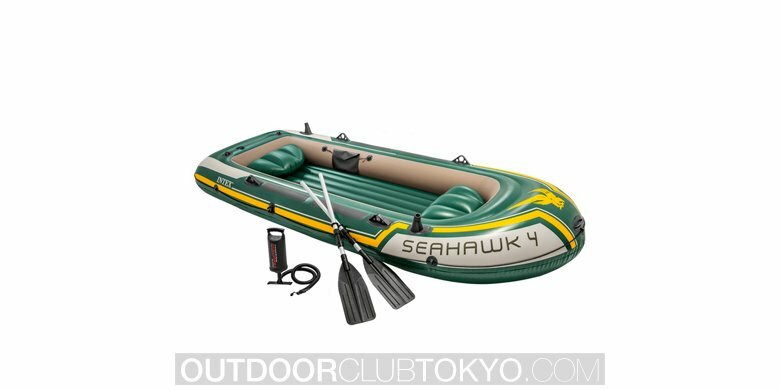 You can get this boat from most online vendors or in stores, but there’s a great price on online store currently as well as a discount! If you are looking for a fun time on the lake with someone to keep you company, this boat is a great choice. You can relax, row, and even fish with the Challenger 2! It doesn’t take long to inflate and deflate the boat because of two quick-fill Boston valves and the High Output Air Pump. There are a few grab handles and a grab-line going around the entire boat. You also get two French Oars for helping you with rowing across the water. There are also three air chambers inside the hull and an inflatable floor that’s meant for extra comfort. One of the most prominent features of the boat is the size of it. Even though it’s meant for two people, one could think that there is room for more. Customers have reported that it held up around 275lb of weight with no problems. Another feature people notice, are the 48’’ French Oars which are quite sizeable. They provide enough push and pull power to keep your boat moving without too much difficulty. It is a very comfortable boat, and it can withstand a lot of force. There were reports about people rowing the boat in faster rivers without bigger problems, but with considerable difficulty navigating around rocks. 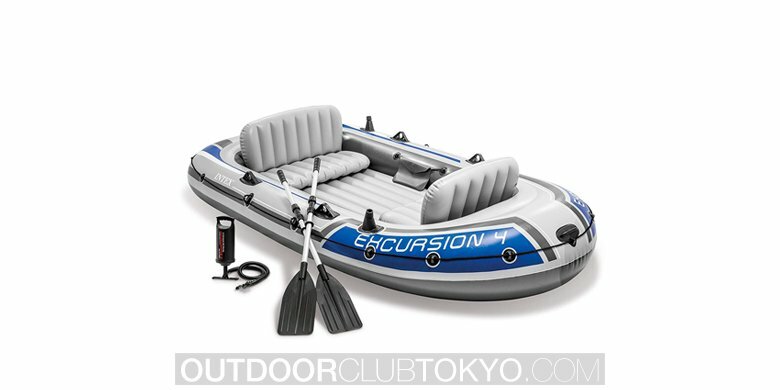 You’ll find the Intex Challenger 2, 2-Person Inflatable Boat Set to fit all your needs! This kayak has a lot of advantages. The most noticeable ones are the quickness and ease of inflating and deflating. Coming with two quick-fill Boston valves, you will have no difficulty in doing either of these jobs. It can hold a considerable amount of weight for a boat this size (around 130 kilograms), and it provides a lot of comforts. The disadvantages are sparse, but they do exist. People have reported that the boat might have a lack of leg space but for most, this isn’t true. All in all, the Intex Challenger 2, 2-Person Inflatable Boat Set has a lot more advantages than disadvantages. There isn’t a definitive guide on setting up this boat. It’s relatively easy to inflate, easy to use, and that’s about it! You take the pump you get with the boat and connect it to the valves and let it inflate. Deflation can be done the same way, or you could just press the boat and let the air out. Some places are dedicated to where the Oars should be placed, and you can inflate the floor as much as you feel comfortable with. Other than that, there isn’t much to it. If you don’t know how to row a boat, it’s a very good time to learn because it allows you to do this if you are in the still water. When you are finished using the boat, deflate it and keep it in a clean and safe place. Keep it away from sharp objects and don’t pack it up while it’s wet. It’s best to leave it for some time to dry out – in the sun perhaps. If it’s difficult to put it back into its original packaging, it’s completely fine to leave it somewhere where it won’t get pierced or cut. There isn’t much more to it than that, it all comes down to the basics. When you want to use it again, set it up properly and inflate. 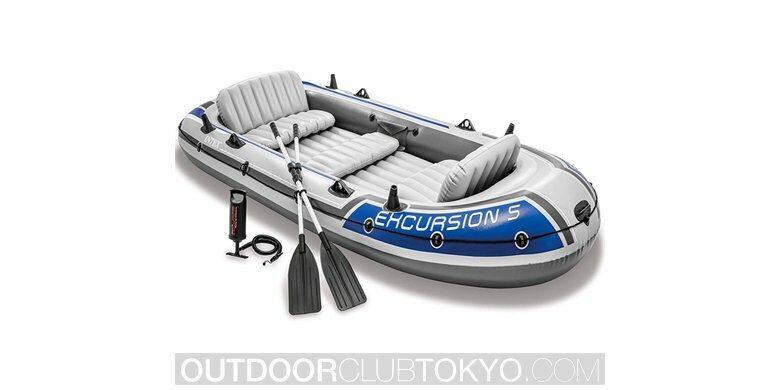 The 2 Person Inflatable Boat doesn’t require any special care! Q: What are the weight of the boat and the capacity? – The boat weighs around 15lbs, and its weight capacity is at around 275lbs, but it could potentially hold a bit more. Q: Can place a motor on the back of the boat? – No. DO not put an engine on an inflatable boat for the following reasons: The boat cannot handle a motor that weighs so much and it will most likely turn over. The motor can also be too much for the boat to handle so under no circumstances put an engine on this product. In conclusion, this kayak is a nifty little boat that people are very satisfied with. It isn’t very expensive, and online store for example, offers great deals and discounts. People have been very happy with the boat and have recommended it with the highest ratings. If you are looking to go on an adventure with someone you love, or simply a partner that will keep you company, the Intex Challenger 2 is a fantastic choice which you won’t regret in the slightest.